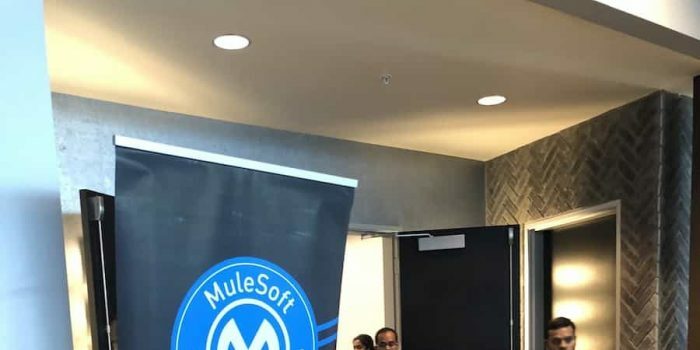 This month, our special shout out goes to a very special Meetup Leader: Vijay Rao, MuleSoft Practice Head at Apisero. 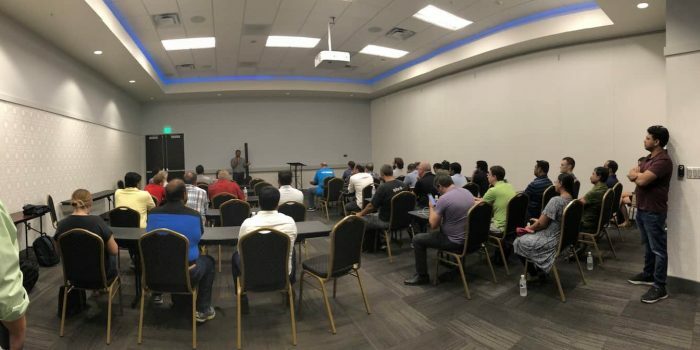 Vijay started our Meetup group in Phoenix, AZ back in December 2017. 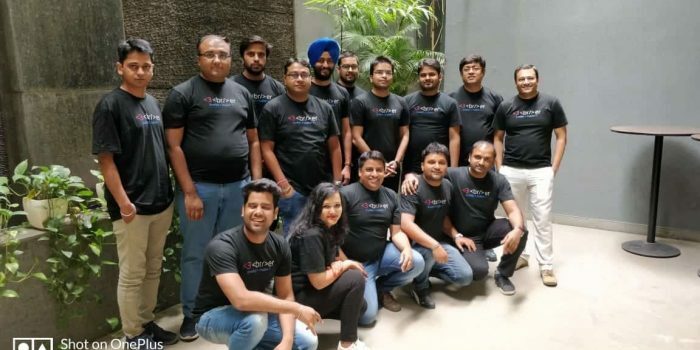 From there, he developed a community that meets regularly to discuss new releases, technical demos, and user stories. 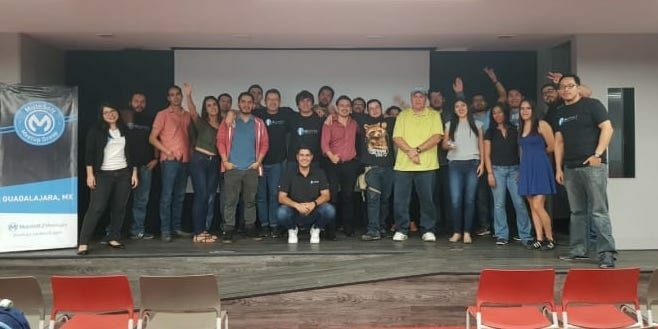 Our team had the chance to attend his latest Meetup on August 9th, during which developers and architects from Arizona State University, Isagenix, and JDA (among others!) shared their journey with MuleSoft to a packed room. 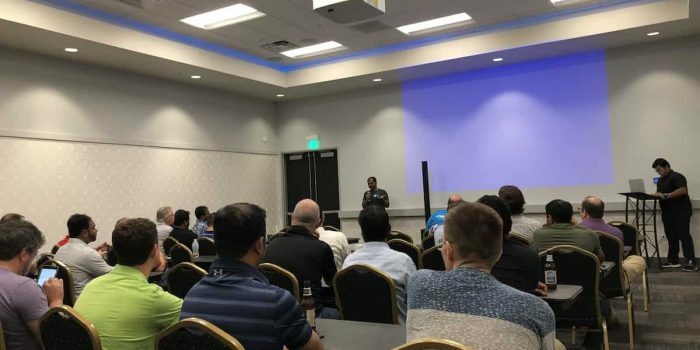 Vijay’s colleague, Deepak Haldar, also presented about the process of migrating from Mule 3 to Mule 4. 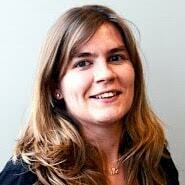 The content was highly technical and based on real-life, personal use cases. The Meetup Vijay organized also had a second room with kid’s activities where attendees could bring their children. 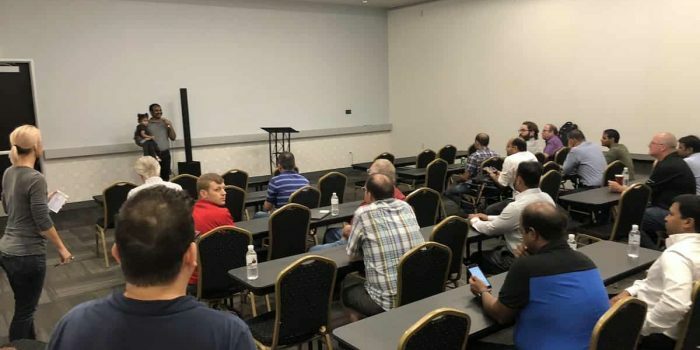 This Meetup was truly a community event! On behalf of the whole MuleSoft team, thank you Vijay for all what you do for the Phoenix community! Soumyajit Das, Senior Associate Advisory at PwC, has done an amazing job helping other developers this month, with countless answers. Enrico Rafols Dela Cruz, Application Development Senior Analyst at Accenture, also stood out from the crowd, thanks to the many useful replies he provided to developers in need. Mule programming style guide: A simple main flow: In this article, Joshua shares best practices for designing a simple main flow that is easy to understand and maintain for other developers. 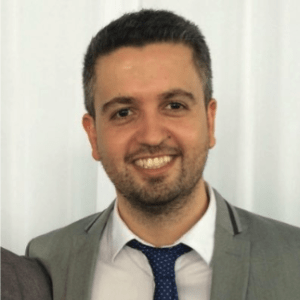 Lessons learned: Using queues in your application architecture: Joshua shares how to avoid common challenges when developing microservices that communicate with each other through queues. Tip #6: Empty JSON object: Patryk explains how to remove empty objects in transformations to the JSON format. Tip #7: Custom DataWeave module:In this post, Patryk shows how to reuse DataWeave transformations and custom functions using modules. Murali Thuraka, Software Engineer at Hydus an XTIVIA Company, published an article explaining JSON schema validations and how to match against defined schemas that exist in a local file or external URI. Joshua Erney and Jose Montoya, Software Engineers at MS3, shared 3 videos this month! Mule 4 – Accumulating values in a for-each: This video covers how to add values to a list within a for-each loop using DataWeave. Mule 4 – Message: This is a video tutorial on the Mule 4 message and how it differs from the Mule 3 message. Mule 4 – Error handling: This video covers what you need to know about Mule 4’s error handling as a replacement to Mule 3’s ExceptionPayload. 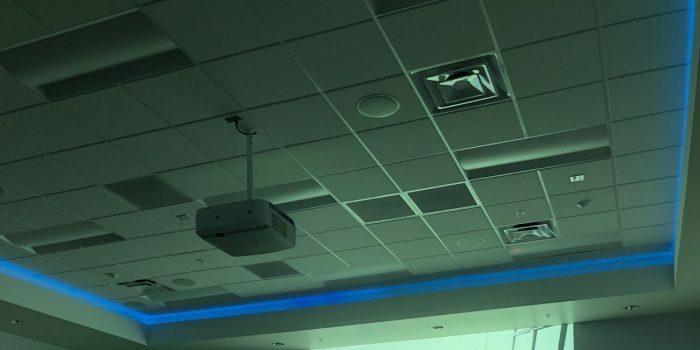 today, I am a part of one of the largest consulting companies in the world, where we face and overcome integration challenges on a weekly basis. My path to learn MuleSoft started with their awesome documentation and forum, which provide me with knowledge about new features and the help that I needed. By contributing more and more to the community, I was able to receive training until I was confident enough to apply to certification exams. Step-by-step, I was able to prove myself and enrich my knowledge. Finally, in July 2018, I was able to pass the Integration Professional certification and it was a great achievement for my professional advancement. This meant that all the hard work and all the knowledge I’ve been learning represent the beginning of more knowledge coming in. The challenges are bigger now and being certified gives me more confidence to continue to move forward! We look forward to support you Guilherme! 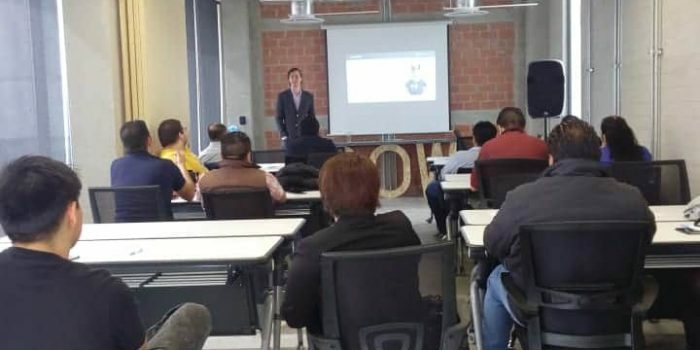 Victor Sosa, Director of Service Delivery, Salvador Zalapa, Integration Engineer, and Larisa Arenas López, Integration Engineer, both with IO Connect Services in Guadalajara, MX. Check out the slideshow below to see these events in action! 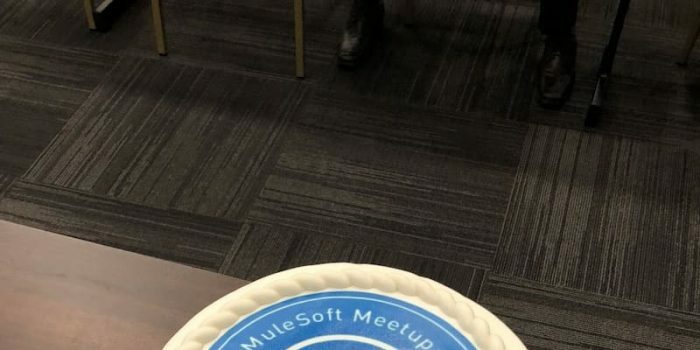 Also, visit our website to see if there’s a MuleSoft Meetup group in your city, or apply to lead one! 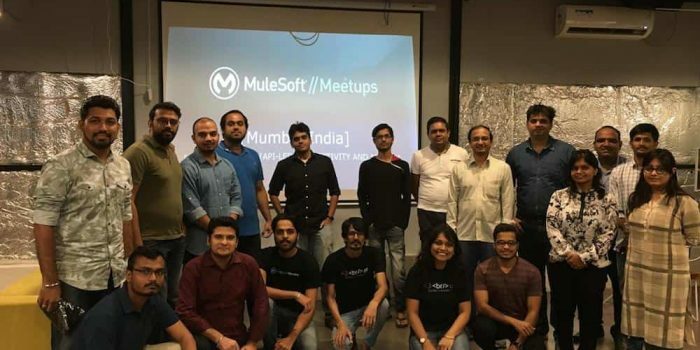 You can also see a list of upcoming MuleSoft Meetups across the world. That is it for this month! We’d love to get your feedback on this blog series in the comments. If you know a great contributor, whether they are writing blog posts, speaking at a Meetup, or simply answering questions on the forums, tweet us @MuleDev.